The Community Employment Services (CES) program at The Arc-South Bay provides gainful employment opportunities. CES provides its consumers with a paid work experience in community-based jobs, along with support needed for the consumers to meet their goals, and possibly advance on to individual placements or direct hire positions. 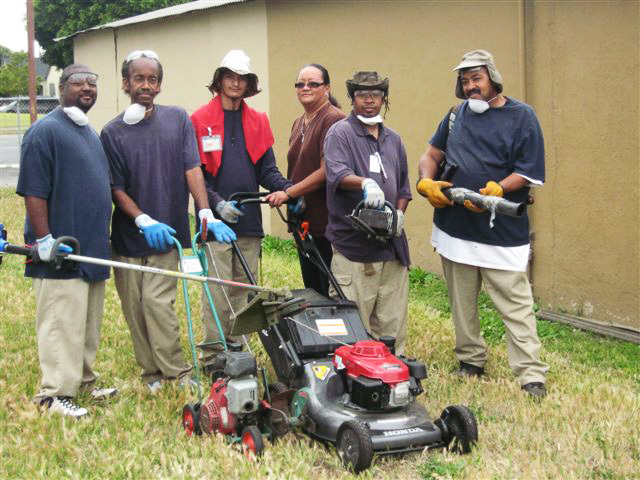 The Community Employment Program consists of group and individual placements. A group placement has consumer employees working as a team, performing job tasks in the community. Each group is fully supervised by a job coach and sometimes also an assistant job coach. An individual placement consists of one consumer employee working in the community for an employer with minimal supervision from a job coach. Such jobs might be at a retail outlet such as a grocery store. The program days are typically Monday through Friday, but may vary depending upon the job site. Persons in individual job placements will work according to the employer’s schedule. The program hours also vary depending upon the job site. Some jobs begin as early as 9:00 a.m., while others begin in the afternoon. We will try to arrange the schedule according to the individual’s needs. Each individual will have breaks and a lunch period according to the employer. Both departments of Southwest Industries are fully accredited by the Commission on Accreditation of Rehabilitation Facilities (CARF) and are licensed by the Department of Rehabilitation, State of California.